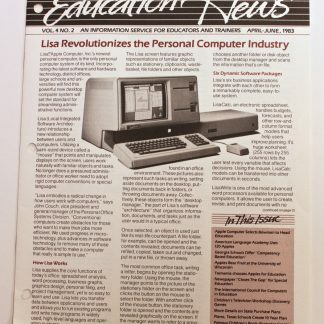 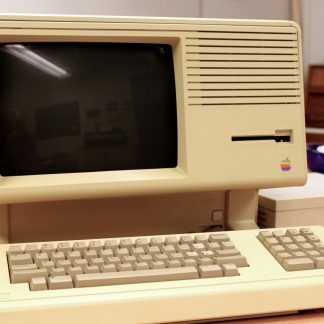 Apple Lisa 1 – “Lisa. 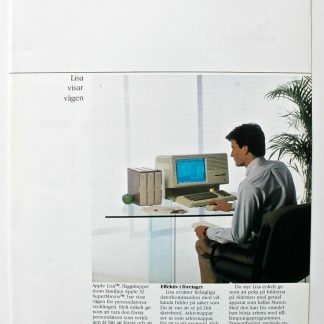 It works the way you do”. 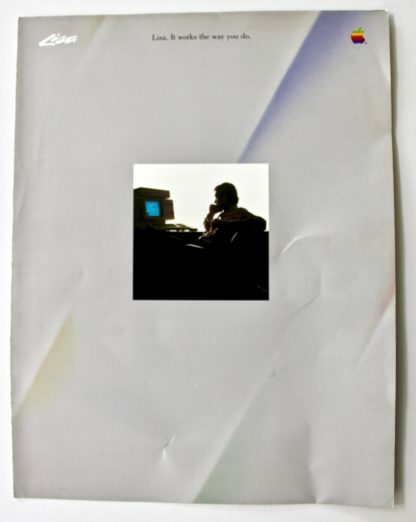 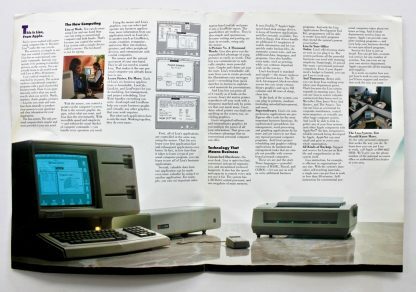 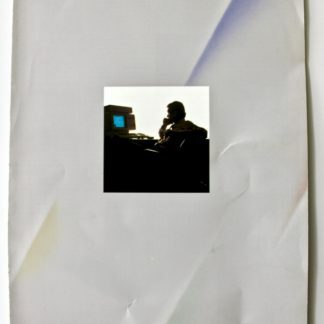 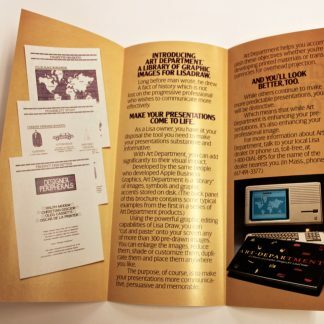 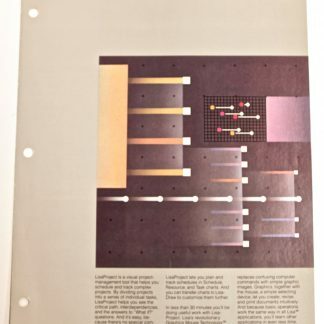 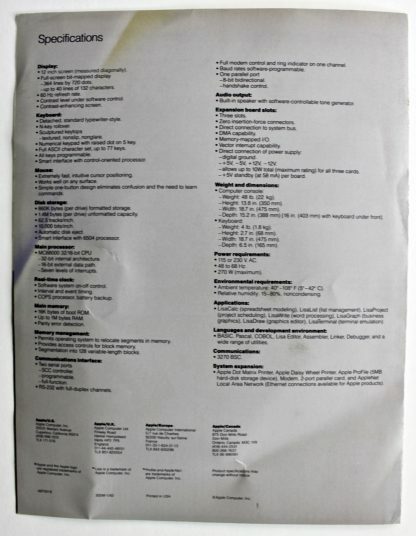 Rare brochure printed in january 1983 (same as the introduction of the original Apple Lisa). 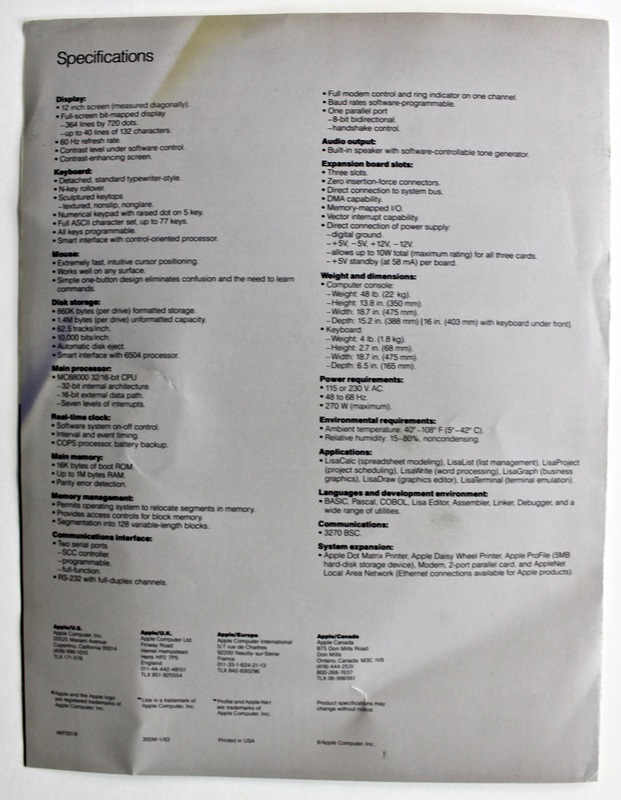 A bit rough but no damages.